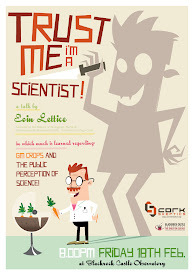 Communicate Science: What region of the earth is not full of our calamities? 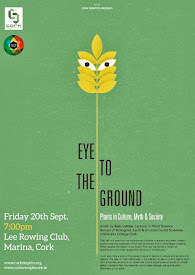 What region of the earth is not full of our calamities? You know Spring has arrived when the daffodils, which pushed through the soil early this year, are in full bloom around the country. 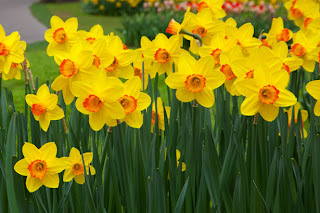 In fact, today is Daffodil Day in Ireland - a fundraising event organised by the Irish Cancer Society. To celebrate, we remember an Irish plantsman who put Cork on the map in terms of daffodil growing - William Baylor Hartland. 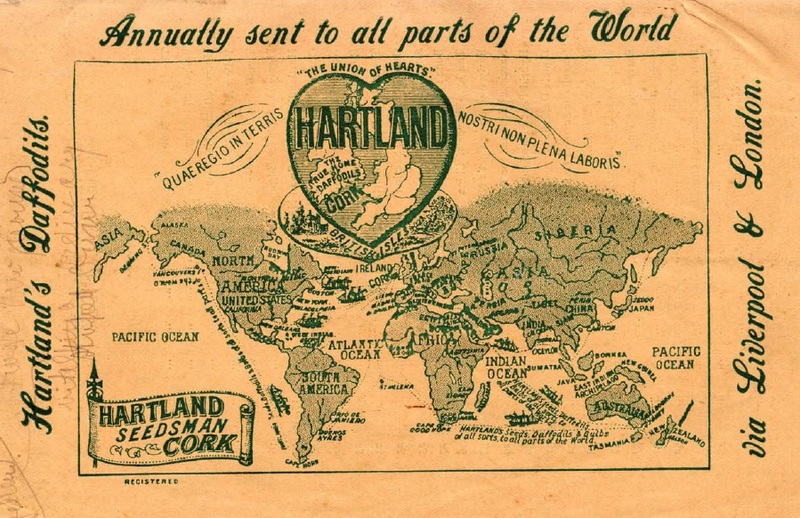 WB Hartland came from a long line of successful horticulturists. His grandfather, Richard Hartland (1745-1821) worked at the Royal Botanic Gardens at Kew before moving to Ireland to become a gardener to the Earl of Kingston at Mitchelstown. Around 1787, Richard established a nursery at Bellvue Cottage, Mallow and had three sons. Arthur established a nursery near Turner's Cross in Cork City - where it seems he planted a fine monkey puzzle tree; Richard jnr. opened a nursery at Glasheen which continued in existence up until 1923 as the Lough Nursery. 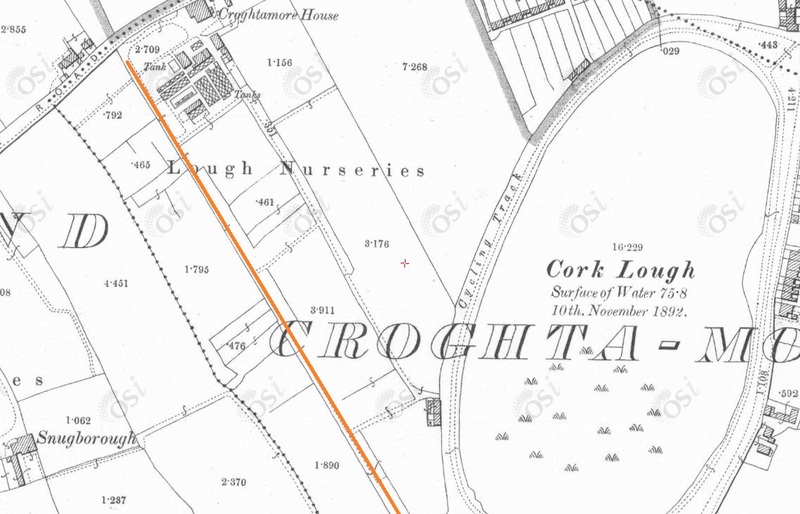 By 1867 the Lough Nursery took up 40 acres and included 18,000 feet of glasshouses. The third son, William Baylor (the father of our WB Hartland) stayed on at the family nursery at Bellvue. Our William Baylor Hartland (1836-1912) was only seven years old in 1843 when his father died and left him the business. With the help of his uncles, the business was run successfully and he established his own nursery at Temple Hill, just outside Cork in 1878. In 1889 he moved the short distance to Ard Cairn in Ballintemple. Hartland became internationally famous for growing daffodil bulbs and developing new cultivars such as Ard Righ. He published his Little Book of Daffodils in 1896 and by the turn of the 20th century he was exporting bulbs all over the world. The back cover of his catalogue from around that time (pictured) clearly shows the drive and marketing ability of the man. "The True Home of Daffodils" the advertisement proclaims about Cork. 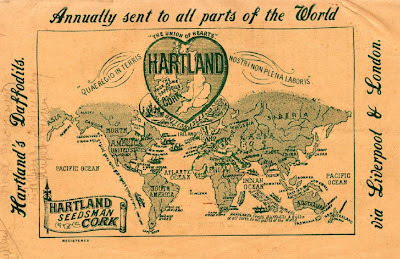 "Hartlands seeds, Daffodils, and bulbs of all sorts, to all parts of the world". The map of the world, with Cork at its centre is framed by a quote from Virgil - quae regio in terris nostri non plena laboris or What region of the earth is not full of our calamities? WB Hartland was clearly a wonderful salesman and his name lives on amongst daffodil breeders. He was also interested in new varieties of apple and he developed the Ard Cairn Russet variety. He died in 1912 and his nursery closed in 1917. The family name still lives on in Cork. 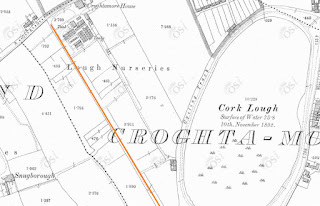 In 1926, Oliver Hartland (who was, by then, running the Lough Nursery) built a road from Glasheen to the Lough. Hartland's Avenue remains as a reminder of the nursery and this family's industry. Today is Daffodil Day and you can support the work of the Irish Cancer Society by buying a daffodil from sellers around the country. Look out for them and support this worthy cause. Forrest, M (2010). 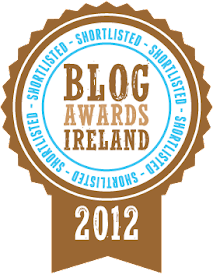 Nurseries and nurserymen in Ireland from the early eighteenth to the early twenty-first century. Studies in the History of Gardens & Designed Landscapes: An International Quarterly 30(4): 1460-1176.